The humble mustache has received a lot of attention in recent years — becoming almost a hipster badge of honor. Signature ’staches aren’t found just on the faces of guys in black rimmed glasses — they can be found adorning everything from coffee mugs to beer toppers and a range of party ‘staches for the special occasion. Mustaches, clearly, are having their moment. But the mustache is a bit like the bow-tie of the facial hair department, in that not all guys can pull them off. But when they do, they can be described as nothing short of awesome. Of course, for guys who want to try out a mustache, there are plenty of role models. There have been many celebrated men throughout history who have worn their particular mustaches proudly. From the surreal signature mustache of artist Salvador Dali to the thick, cowboy-like ’staches of actors such as Sam Elliot, or the bushy and intellectual upper lips of academics such as renowned genius Albert Einstein. 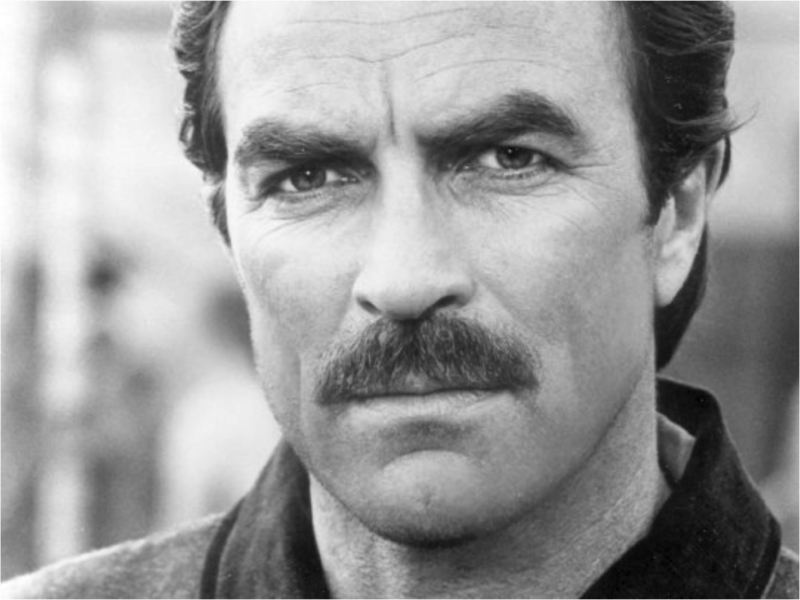 And who can forget ‘The Selleck’ — a thick early eighties mustache so named for the actor who made it famous in TV shows such as Magnum P.I — Tom Selleck. Akin to the hair on one’s head, the mustache also needs regular cleansing. Daily grime and food can build up, leaving an unpleasant odour that will turn away potential Mrs. Mustache. Use a regular facial wash or scrub to cleanse your ‘stache and the skin beneath it, such as the Face Scrub by Go 247 Men. There are plenty of mustache styles to choose from, some more complicated than others. But whatever style chosen, maintaining the design will require some precision equipment. Use a dedicated beard trimmer to carefully sculpt the initial mustache. For stray and long hairs, carefully snip away with some manicure scissors. It is also wise to use a transparent gel when shaving around the mustache, so that it’s easier to see where to shave and where not to shave. Try American Crew’s Precision Shave Gel, a non-foaming product designed for normal to fine beard types. Don’t trust yourself? Just come into your local 18|8 and we’ll sculpt your next shade of awesome. Facial hair tends to draw moisture from the skin, resulting in dry flaky patches beneath and within the mustache. No bueno. Hydrating this area with a regular moisturizer can prove tricky, as a moisturizer can become tangled within hair and is not easily absorbed. A dedicated mustache and beard hydrator is the best solution. Try treating your mustache using a beard or shaving oil such as American Crew’s Ultra Gliding Shave Oil. Free the mustache of any embarrassing debris and dry skin with a mustache comb, which will also ensure that the mustache hair is kept neat and tidy. The longer the ‘stache, the more essential this ritual will become. Some guys may opt to wear a complicated mustache style, others will choose a style that is more straight forward. Either way, it’s advisable to invest in some mustache wax. It will hold the ’stache’s twizzled ends in place, and ensure that they moustache stays neat and styled. Similar to the hair on one’s head, mustache hair can become unruly if not tamed. Try using American Crew Molding Clay, which contains natural beeswax, when traditional mustache wax isn’t on hand.